Pioneer of the New Community Movement, which revitalized the post-war Korean economy through innovative village-centered strategies. 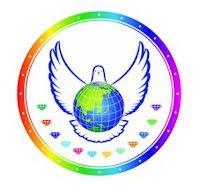 A non-governmental, non-profit organization registered under the Seoul Metropolitan Government as per Korean Ministry of Foreign Affairs that transcends differences in cultures, beliefs and religions to engage leaders and youth in sustainable and comprehensive solutions for peace. He traveled on world peace tours (73 countries) to meet with diverse leaders to have discussions regarding HWPL peace initiatives.